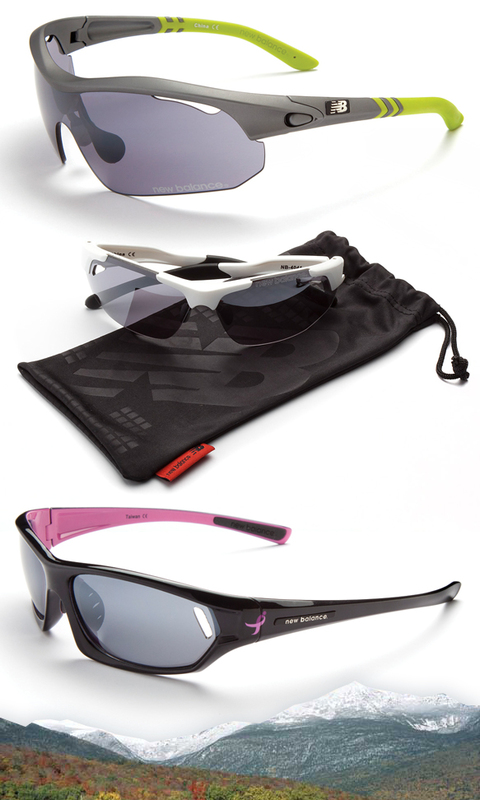 Mountain Shades made an exciting announcement earlier this month—for the next three years they will be manufacturing a line of running-specific sunglasses for New Balance called New Balance Sun. The initial launch of the new collaboration will include five sporty styles designed exclusively for all of you outdoor adrenalin junkies out there. The five aerodynamic frames have modified nose pieces to keep your shades in place as you work up a sweat, so you don’t have to worry about them slipping and sliding on a sweltering summer’s day. They also feature sleek, futuristic designs that maintain functionality without sacrificing your desire to make a fashion statement. Also important to note is one of the five models is dedicated to helping find a cure for breast cancer. For every pair sold, New Balance will donate 5 percent of the retail price to Susan G. Komen for the Cure. We can’t wait to see what other designs they come out with in the future!